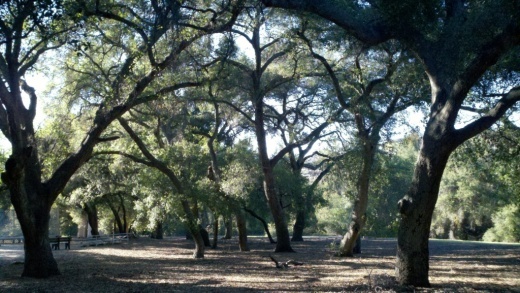 The Hillcrest Open Space Preserve is an area bound on the south by Hillcrest Drive, on the east by Westlake Boulevard and on the west by La Granada Drive. I don't know the exact boundary on the north side. 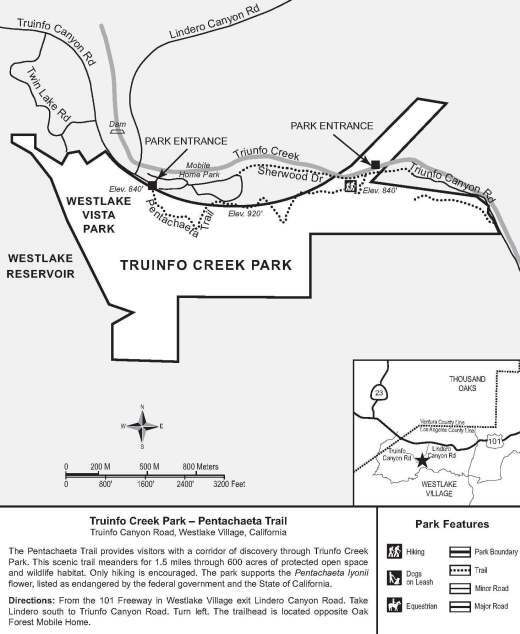 Years ago I ran the trails from time to time back there but it had been some time, so I took the kids over to the White Sage Trail trailhead off of Hillcrest Drive, just west of Blue Mesa Street, about half a mile west of Westlake Boulevard. There is zippo parking to be found on that stretch of Hillcrest Drive and the nearest crosswalks from the other side of Hillcrest Drive, where you can find parking on residential streets, is at Westlake Boulevard (1/2 mile east) and Duesenberg Drive (1/3 mile west). I've parked on Blue Mesa Street and run across Hillcrest but would not recommend that as the cars speed along on that busy boulevard. In any case, this is a fun little excursion, particularly if you enjoy a steep hill to climb and beautiful panoramic views of the area. The hill looks a bit intimidating but the grade actually, in my humble estimation, ain't that bad. You can also continue on to the top of the hill and do a loop of roughly 3 miles or so. Another access point to the Hillcrest Open Space is the southeast endpoint of La Granada Drive (at Crown View Ct), east of Erbes Road in Thousand Oaks. This 4 1/2 mile, hilly loop is a great way to view the local scenery, from the Conejo Grade to the Civic Arts Plaza and most everything else. 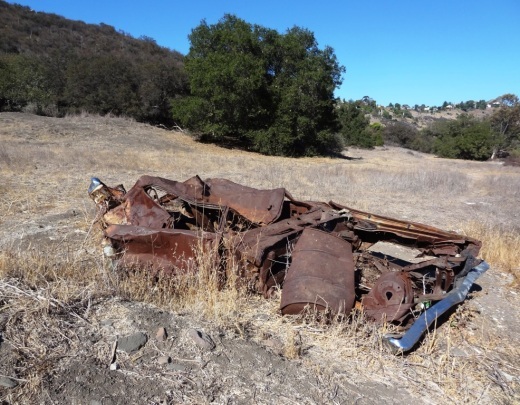 More on the Hillcrest Open Space Loop trail on the COSF website. Trailhead access point at the end of La Granada Drive.